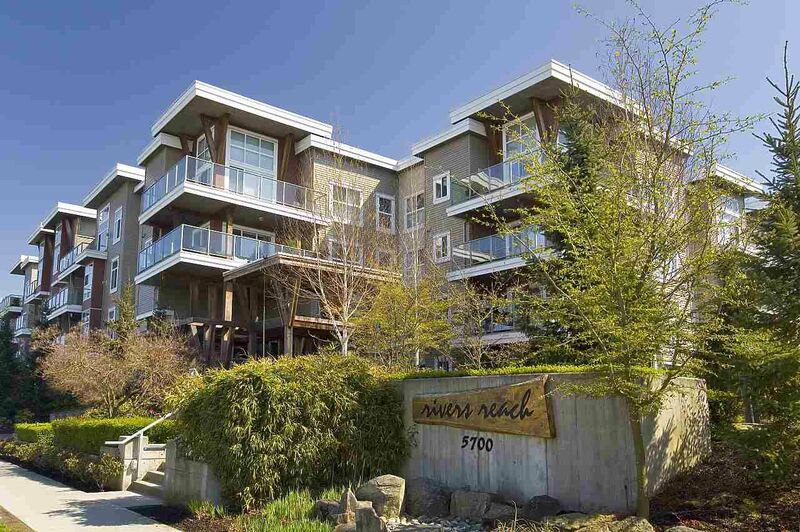 Georgie Award winning "Rivers Reach" in Steveston; A fully rainscreened bldg loc in Richmond's best neighbourhood. 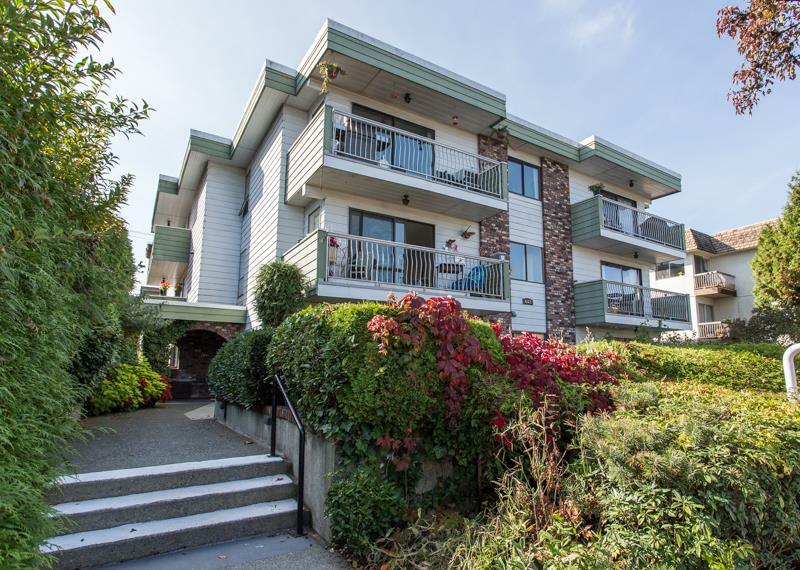 This lovely 2 bdrm + 2 bath, former showhome, CORNER UNIT features an open floor plan, separation of bedrooms, large wrap around windows & a 350 sq.ft. wrap around patio. There are wall to wall windows on the north, east and south sides including a window in the kitchen. The living and dining areas boast engineered h/w floors w/ carpets in the bedrooms. This home also features a natural gas f/p, built ins in the master closet & a spacious insuite storage area. A very peaceful setting just steps to the Village shops and restaurants, the river, trails and boardwalk. This is a pet friendly bldg and community.